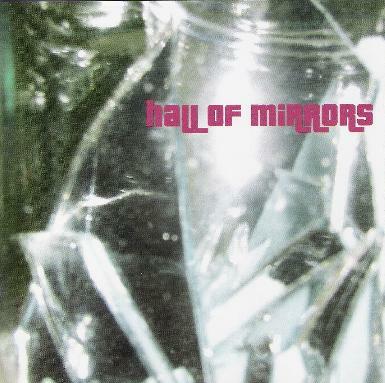 Various Artists - "Hall of Mirrors"
I've reviewed a few of these drone/noise rock underground compilation CD's put out by various labels. They never seem to turn out as great as I imagine those compiling them hope they will. I'm not sure why. Perhaps because of the nature of this music (which is often improvised or semi-improvised) when a band gets a good bit, they are reluctant to give it up for a compilation. There are indeed some first rate bands on the roster here, including Kinski, Circle, Abunai!, Vocokesh, ST37, Farflung, Subarachnoid Space, Escapade, Bardo Pond, Acid Mothers Temple and others, all bands regular readers and listeners at Aural Innovations will be familiar with. But apart from a few tracks, what we get here is a lot of kind of formless, noisy garage jams. Now that can be a good thing. But stacked one after the other, they seem to lose any distinctive characteristics. Notable exceptions include the disc one opening track Teen Center, by Kinski. In fact, on these kinds of compilations, Kinski always seem to be one of the few bands to consistently deliver the goods. Teen Center crackles with the typical Kinski tension and energy. Circle comes through with a dark and menacing power chugger in Kuonopäivää, complete with cavernous chanting vocals. The Vocokesh deliver The Somnambulist Speaks, a track that sounds like an outtake from their latest album, but the title suggests an answer to sister band F/i's 2003 album. Farflung toss in These Clouds are Solid, a bristling rocker in the Hawkwind style with a definite leaning towards the more punk-styled space rock á la Nik Turner and his Inner City Unit band from the 80's. Fuzzhead checks in with Remember the Avalon, a midtempo funky groove, with something that sounds like broken vacuum cleaners in the background. Abunai! give us Our Wayward Fuel, a slowly developing early Floydish style number with a mysterious and haunting lead that was certainly one of the highlights of the album for me. Yeti close the set off with their unique brand of Zheul/RIO influenced space rock with a live track called Raja Gaj, and although I liked this track, the recording was somewhat muddy and lost some of the more subtle touches in its mix. A few bands scattered throughout the collection that I had not heard of surprised me. Speaker/Cranker checks in with a mid-tempo instrumental excursion shimmering with light and swimming in shadows. DMBQ's Small Hours remind me a bit of Alice Cooper, if Alice had been a bit more of a space rocker. Transpacific give us a dynamic number that goes from dark, Krautrockish moments to soaring noise freak outs with Fall River Mills. So all in all, what can I say? This is not a bad collection, but might have been better as a single disc release. There seems to be a bit too much filler in here from bands I know can do better. Can't highly recommend it, but if you like some of the bands I've mentioned, there's enough interesting stuff to merit giving it a listen.